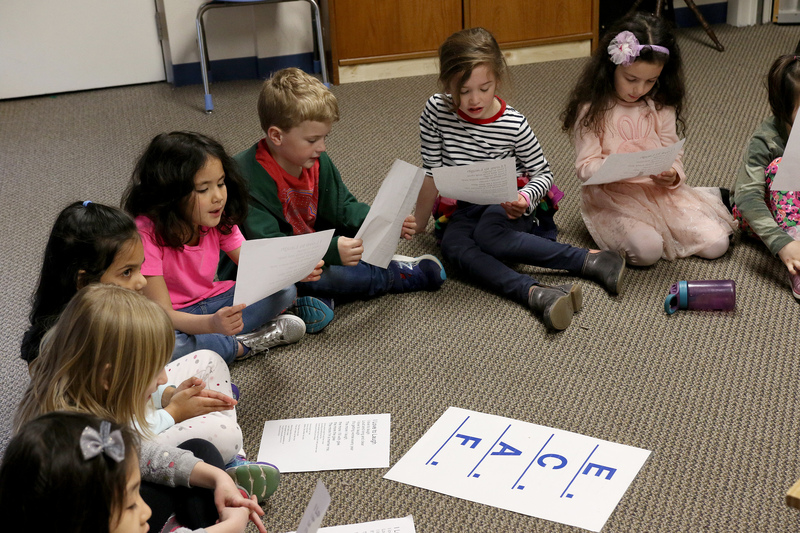 During the month of April, our young music students in pre-k and kindergarten will be challenged to F.A.C.E. the music. They are learning the letter names of the notes in the spaces of the treble clef. Matching the letters with the notes on the staff and differentiating between lines and spaces is the first step to note reading. The notes in the spaces happen to spell the word face. This mnemonic is less problematic than the original mnemonic for the spelling of the lines. Sometimes we use the ampersand to save the day. Therefore: Every Girl & Boy Deserves Fun for the letters: EGBDF.